Sweet dreams start with Huggies OverNites Diapers with special nighttime features including All-Nite Protection Zone with extra absorbency to help eliminate nighttime leaks and Unbeatable leakage protection gets better with added waist leak barriers. My 2 year old is a heavy wetter at night. I've tried every option on the market for overnight and these diapers are by far the most effective. 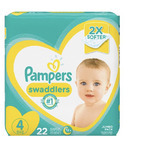 They are pricey so we just use them at night and use store brand diapers for daytime. My son was peeing through his regular diapers during the night- so we were constantly doing laundry and trying to figure out a better way. Enter the night time diaper! No more waking up in wet bedding! These diapers are just the best. 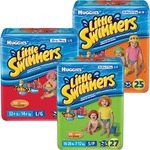 Switched to these when my little one was about 10 months old as the other Huggies were not as absorbent for the whole night. My son would constantly wake up in the night soaking wet. I tried multiple brands of diapers and this continued to happen. I finally tried these and haven’t turned back since. I have never had a problem with him waking up wet. Nice and dry at night!!! I love these diapers!! My daughter started to leak through her normal diapers and once we bought these no more mess at night! No more waking during the night to a wet baby and bed. I highly recommend this product. My number one go to diaper! I absolutely love Huggies Nighttime Diapers! They are the only ones I buy because they are the only ones that I can keep on my son and that he doesn't leak through. They hold A LOT, he can get through the whole night and even a little while after he gets up in the morning before he has to be changed. I have tried every diaper out there and these are the only ones I get! My daughter gets an extra bottle at night and she had been wetting the bed by morning time. We switched her to huggies nighttime and the results were amazing! No more changing sheets and sleep sacks every morning. She can now have her extra bottle....and when she's teething it sometimes means 2 extra bottles and we don't have to worry about changing her diaper at night or the sheets in the morning. I was so disappointed after trying these diapers on my 2 year old son. He pees a lot in the night and was leaking through his Huggies Little Snugglers, and I saw these in store so I thought we'd give them a shot. He wet through the overnight diapers quicker then a regular Huggies. I tried them 3 times before giving up, and using them as regular throughout the day diapers to not waste the money I spent. I have used Huggies for all 3 of my children, and trusted in the name strongly. Not anymore though. Don't waste your money on this product. They don't work!